Super exciting news! This Sunday (TOMORROW), I will be at the @Chevrolet Chevy Cruze booth during the Essence Street Style Festival in Dumbo, Brooklyn at the Dumbo Archway starting at 12pm. 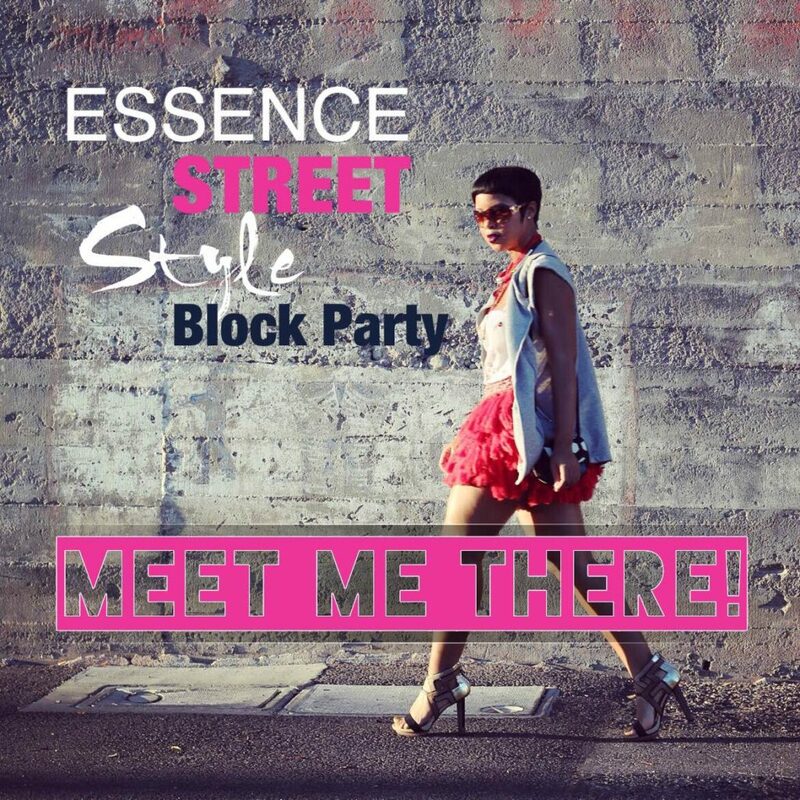 There will be several other fashion experts there doing a little street styling. Nothing major. We’ll just swap out something you’re wearing for something better and guess what? You get to keep it! So, it’s a no lose situation. Stop by the booth and, also, check out the featured designers Ron Bass (@iam_ronbass), Ashley Ryles (@arryles) and Charlene Bendo Dunbar (@suakokobetty). If you’re in New York, I would love to see you! Thank you a lot for giving everyone an exceptionally splendid opportunity to check tips from this blog. It’s usually very beneficial plus packed with a lot of fun for me personally and my office mates to search the blog no less than 3 times in 7 days to study the newest guidance you have got. And of course, I am also always happy with the amazing opinions served by you. Certain 3 ideas in this posting are particularly the best I’ve ever had. My husband and i felt absolutely joyous Michael could finish off his investigation with the ideas he made while using the site. It’s not at all simplistic to just possibly be handing out tips and hints which often a number of people may have been selling. And we also discover we need the writer to appreciate for this. The specific explanations you have made, the simple site navigation, the friendships you make it easier to promote – it’s got many spectacular, and it’s helping our son in addition to the family reckon that this concept is awesome, and that’s exceedingly essential. Thanks for the whole lot! I truly wanted to write down a quick message so as to express gratitude to you for all the pleasant advice you are sharing on this site. My extensive internet lookup has at the end of the day been recognized with reasonable points to exchange with my friends and classmates. I ‘d point out that many of us visitors actually are really lucky to live in a fantastic network with so many awesome individuals with valuable tactics. I feel rather fortunate to have encountered your web pages and look forward to some more thrilling moments reading here. Thank you again for a lot of things. I needed to write you a little bit of remark to thank you yet again on your incredible strategies you’ve contributed above. It was simply wonderfully open-handed with people like you in giving easily just what many of us could have distributed for an e book in order to make some cash on their own, primarily seeing that you could have tried it in the event you desired. These tricks also served like the easy way to fully grasp that other people online have a similar passion like my very own to know the truth a lot more around this condition. I am sure there are lots of more pleasurable moments in the future for people who find out your site. I precisely had to appreciate you all over again. I do not know the things I would have achieved in the absence of these smart ideas documented by you on my industry. It was before a very challenging scenario in my view, however , understanding the skilled style you treated that made me to leap over contentment. Now i am happier for the assistance and as well , expect you recognize what an amazing job you are doing instructing the others with the aid of your websites. I know that you’ve never got to know all of us.